I've the same issue on S4 when I try to export a folder not in root. For example: I try to export the entire folder "root/mp3/folder1" and Airdroid exports a little invalid file; if I move the "folder1" folder or root (root/folder1) it's possibile to export it without invalidity problems. Please fix it. I have been having the same trouble. However, I found that it forms an invalid zip file if the file is greater than 10MB. As long as I download files smaller than that, it downloads and opens fine. Maybe the default file size needs to be reset to accommodate larger zip file sizes.Hope this can assist. Can you please go to Settings in AirDroid app > Encoding for zip file, and switch it from utf-8 to gbk or from gbk to utf-8. I have the same problem. Changing ZIP file encoding doesn't help (it was already gbk in my case, set to UTF-8 makes no difference). It does seem to be something to do with size. If I select a small number of files it works OK but a larger number fails. Bump. Exported and deleted files from device. I was used to it working well... Now I have 7GB of data that is partially extractable. What's the size of the files you downloaded? The format of files? What web browser do you use? And what Connection Mode? Your Android version, device model, ROM? We'll test it on our side to see if similar situation happen. Did you change any settings? 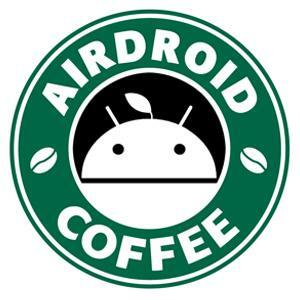 What's your Android version? Device Model? The format of files? What web browser do you use? And what Connection Mode? Do I dream or that pb is not solved since 2011 ?! Which unzip tool you're using? And the OS of your computer? I'm having the same issue, trying on both Mac and Windows. Any update?